An Energy Information System (EIS), to be hosted at the Ministry of Energy, has been proposed to harmonise data from various agencies in the energy sector in order to aid in decision making for the sector. The proposed EIS is part of a four-point Action Plan proposed at the end of an energy sector Capacity Scan (CAP-Scan) conducted under the Compact II of the Millennium Challenge Compact, conducted by CRISIL Risk and Infrastructure Solutions Limited, the consultants appointed for the project. Speaking at a presentation workshop on the outcomes of the CAP-Scan consultancy on Friday in Accra, Mr Satnam Singh, Director Energy and Natural Resources Infrastructure Advisory at CRISIL, said the CAP-Scan had revealed several challenges with data management in the sector, including too much human intervention in data handling, inconsistent formats used in various agencies and lack of a basic infrastructure, among others. This, he said, hampered the work of the ministry thus the need for the Energy Information System (EIS) to help produce statistics that will aid in decision making. If adopted and approved, the development of the system is estimated to cost between $300,000 and $400,000, excluding cost of hardware as may be required. The three other proposed interventions in the Action Plan were Development of an Information Technology (IT) Roadmap for the energy sector at an estimated cost of $750,000 to $800,000, preparation of a Skills Development Plan for the sector, at an estimated cost of $500,000 and the setting up of an interdepartmental group at the ministry of energy, also at an estimated cost $25,000, plus $50,000 per annum. 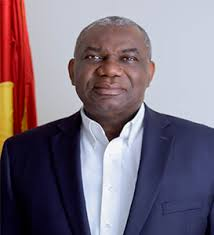 In a statement read on his behalf by Mr Lawrence Apaalse, Acting Chief Director of the Ministry of Energy, Mr Boakye K. Agyarko, Minister of Energy, said the energy sector CAP-Scan had identified some key focus areas to be tackled in order to find lasting solutions to the challenges confronting the energy sector in Ghana. These included inter-agency coordination, national planning, evidence-based decision making, monitoring and evaluation systems and capacity, as well as legislative and regulatory oversight, which informed the four key areas covered in the Action Plan. The objectives of the CAP-Scan were to scan the operational environment of the energy sector, self-identify any technical performance and capacity shortcomings in respect of data quality and monitoring systems and to assist in strengthening the capacity of energy sector players to monitor the performance of the sector to ensure delivery of quality service across the energy generation and transmission and distribution value chain. “The implementation of the these important interventions will enhance the sector’s ability and institutional readiness to effectively monitor quality of service delivery in line with the managing for development results process,” he noted. Mr Martin Eson-Benjamin, Chief Executive Officer of the Millennium Development Authority (MiDA), bemoaned the lack of authentic data in Ghana for use in decision making and lauded the proposed EIS, saying it will be a beginning of building platform for all the agencies in the sector to come together and present authentic data on the sector to its stakeholders. “We have a budget that we are going to use exhaustively to do what it is that we can do but obviously we have a mandate of five years, after we have left, government must also support that activity so that we don’t get things lying on the shelves,” he said. He added that it was time for Ghana to do things right, and look inwardly for the resources to move the nation forward. In his closing remarks, Mr Lawrence Apaalse, acknowledged some concerns raised by member of the taskforce on the feasibility of the proposed EIS considering the cost that will be involved as well as other concerns. He said urged stakeholders to be mindful of those concerns to prevent the software from becoming a white elephant as others had become. “This software, for me, is a very useful one, notwithstanding the comments that we’ve made here,” he said, adding that a central information system will aid in report writing among others.